What’s that coming over the hill, is it a monster? I can’t imagine how terrifying they were as they relentlessly lumbered through the mud, the blood and the smoke towards the enemy. Larger than any such machine before, these riveted behemoths trundled towards the Germans. Traditional warfare in the trenches normally happened at a snail’s pace and the British secretly developed tanks as a means to break the deadlock. Not wanting to alert the enemy, they used the word “tank” in order to obscure their real purpose. I guess “armoured fighting vehicle” would be a give away. They had high hopes for the new machine, but they were slow, unreliable and vulnerable to artillery. However, they were impervious to small arms fire and could ignore most trenches and barbed wire. Although there were serious shortcomings in the early models, they showed promise. I’ve always loved tanks. The ancient armies had their chariots and the knights had their horses, but for me, the tank is the most noble steed of all. After that first indecisive battle, the British persisted and just about everyone else jumped on the bandwagon. The worst thing about trench warfare was the lack of movement, so what’s not to like about a moveable trench? Especially one bristling with guns? By the time WW2 broke out, tanks were more reliable, much faster and they had turret mounted guns giving a 360 degree arc of fire. They also packed more of a punch. In response to bigger guns, tank armour became thicker but as in any arms race, there are always losers. Someone trundling round in an older tank facing an enemy in a brand new model could look forward to a short and very bad day. Tanks have their limitations. Cut off from infantry support, they are quickly overwhelmed. Their lack of manoeuvrability makes them vulnerable in an urban setting. However, on an open battlefield, they are masters of their craft. Alas, I think the tank will soon go the way of the chariot and the knight. There are helicopters that can sneak over the horizon and nail a tank before the crew even know about it. Drones are in regular use and it won’t be long before there are swarms of them on every battlefield seeking out armoured vehicles. Infantry anti-tank weapons grow ever more sophisticated. There are only three conflicting ways to counter these threats; stealth, mobility and armour. A heavily armoured tank won’t be that mobile and will be easy to spot. A lighter tank, although fleet of foot and harder to spot will be easy pickings. 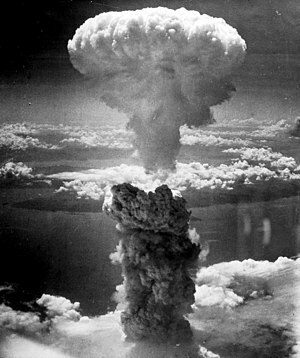 It may all be irrelevant, because future wars will probably be fought in cyberspace. Those that aren’t will probably be fought at a much smaller, possibly biological scale. Maybe someone will develop a “nanotank”. As any pinball player knows, a bit of tilt can be a very good thing. Too much, and it’s game over. When it comes to Technology, getting that tilt right is even harder. My mother suffers from terrible seasickness. When we used to get the ferry over to Ireland, she would start being sick as soon as we left the harbour wall and she wouldn’t stop again until we were firmly docked at the other end. Sir Henry Bessemer was a man after her own heart. He recognised the problem of seasickness and tried to devise an ingenious solution. He understood that the cause of seasickness was all the rocking and rolling of the cabin. If one could eliminate that, the passengers could enjoy a smooth ride. His solution was to mount the saloon independently of the ship, the SS Bessemer, on gimbals. Whilst the ship sailed along, a man watched a spirit level and pulled a lever to keep the saloon level. Unfortunately for Sir Henry, it’s not a great idea to have something rolling around in the middle of a ship as it makes it very unstable and difficult to steer. That’s why oil tankers have baffles to stop the oil sloshing around. The maiden voyage was a disaster. The ship crashed into Calais pier not once but twice because of the instability of the ship. On land, at least you don’t have the vagaries sea level to worry about which ought to make tilting things easier. 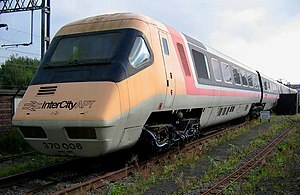 In the 1970s, British Rail set about devising a tilting train to increase the speed of the rail network. France and Japan had leapfrogged Britain with the TGV and the bullet train. If the tracks were completely straight, going fast would not be a problem. Unfortunately, they have a habit of bending to avoid things like hills, lakes and the sea. As any motorcyclist knows, if you want to go round a corner fast, the best thing to do is lean over. British Rail’s answer to this was the Advanced Passenger Train (the APT). The train Used a series of sensors to measure the telemetry of the train and a set of hydraulic rams to lean into the corner. Also debuting on the Advanced Passenger Train was an incredibly sophisticated braking system which allowed the train to brake within the existing signal network. Unfortunately, all this sophistication was the APT’s downfall. They were incredibly unreliable in service and there were complaints from some about motion sickness. Sometimes when you are making advances in rail technology, the last thing you want is any tilting. When engineers undertook the Jubilee line extension in 1994, they were painfully aware of some of the challenges that faced them. One of their biggest headaches was the station opposite Big Ben. Everyone knew that Big Ben had been built on perilously shallow foundations. Indeed, on its completion, it started to lean to the North. If the Jubilee Line engineers came along digging a big hole next door, there was every chance the tower could topple into the Thames, which would not make great PR for the project. In order to prevent any further tilting, they injected tubes of concrete in a star shape around the base of the tower. They injected concrete through holes in these tubes to stabilise the soft earth. During the project, they measured the exact angle of Big Ben regularly and if there was the slightest hint of a tilt, they injected more concrete. 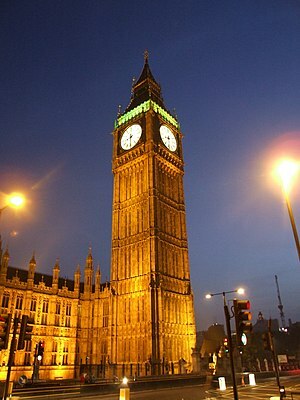 The Jubilee Line extension had its problems during construction, but a leaning Big Ben was not one of them. 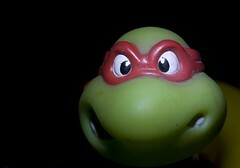 I have to confess that the names Michelangelo and Leonardo make me think of Teenage Mutant Ninja Turtles long before I think of Florence and all the amazing architecture and artwork. Even so, it’s an amazing place. We spent a day there and marvelled at all the sights. Our tour guide was a short, round man who sported a massive pink umbrella which he held aloft for us to follow. One of the first things he told us was that he was homosexual. At first I wondered what relevance his sexuality could possibly have, but as he took us around all the beautiful buildings he pointed out, he told us a little about the famous renaissance men. The way he explained it, they were all lovers and they spent their spare time, whilst they weren’t painting masterpieces or carving marble, sleeping with each other. “It was a marvellous time” he told us in his squeaky Italian accented voice. “There was love everywhere and that’s where the inspiration for all these masterpieces came from.” Whatever it was that inspired those great artists, they did a fine job, even if it does mean you get fleeced everywhere you because you are in the presence of greatness. Although they are very nice works of art and Florence is a beautiful city, I have far more respect for another period in history. If I could travel back in time, the period of choice has to be the Industrial Revolution. In less than a century, a number of inventors transformed the world. Great advances in textiles, metallurgy and energy made more of an impact than any other period that came before (and arguably afterwards). Isambard Kingdom Brunel built God’s Wonderful Railway and if he’d won the argument about how wide apart the rails should be, we would have much faster, safer and more comfortable trains today. Instead, Stephenson, another Victorian engineer won out. Railway lines spread out across the country in a frenzy of navvies. It was an age that saw the first postage stamp, the first pedal bicycle and the first flushing toilet. Telephones and typewriters were invented along with petrochemicals. For those with a sweet tooth, someone invented jelly babies and ice cream. Pasteurisation meant you could eat the ice cream without fear of being poisoned. The electric light bulb came along to light up our lives. For those with an ear for music, along came the gramophone and the wireless. Children all over the world (as well as some grown up children) give thanks for the invention of the comic book. Maybe we will look back at the last hundred years and think it a revolution of a different kind. The internet revolution, although undoubtedly profound, somehow pales in my mind when compared with the achievements of our Victorian forefathers. In today’s connected world, it is hard to believe that not so very long ago, events took a long time to become widely known. News was originally spread by word of mouth which meant that it travelled only as fast as the people who carried it. With the advent of literacy and language, people began to use the written word to communicate with the wider world around us. Military communications relied on various methods throughout the ages. A company runner was often sent across a battlefield carrying instructions between different units. Sometimes he even survived the trip. Semaphore signals using flags or lanterns were somewhat safer and are still in use today between ships in the same formation. There is a plaque in Kensington marking how the news of Nelson’s death was broken. 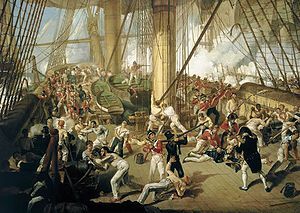 After he was killed in the battle of Trafalgar just off the coast of Cadiz, the ship carrying his body pickled in a barrel sailed to Falmouth where the news was sent by rider to London. Even after riding through the night changing horses at every opportunity – it was days before the public knew about Nelson’s death. As time went on, despatch riders exchanged their horses for motorcycles and advances in radio and telecommunications rendered them pretty much obsolete altogether. In the wild west, news was propagated by the pony express – literally men on ponies riding from town to town spreading news of anything noteworthy. As the railroads crept across continental America, telegraph lines were built alongside and before too long, a message given to a telegraph operator in one town could be relayed to the other side of the country in a matter of hours. The first recognisable newspapers came about in Venice around the 17th century. Costing one gazetta (a small coin of the time), these handwritten sheets gave the reader an inkling of what was happening in the world. During the industrial revolution, great advances were made in technology and it was possible to buy a printed newspaper for the first time. Many of the newspapers we recognise today (such as the Times or the New York Post) started at around this time. In order to populate the newspapers with stories, they relied on correspondents. They were so-called because they would send in the stories via letter. Any such letters from far away climes would travel on packet steamers across the oceans to deliver their stories to the newspaper office ready for publishing. The further away the correspondent, the longer the delay. When I was growing up, if you wanted news you either read a newspaper or tuned in to the television at 6PM or 10PM. Today, there are whole networks and channels devoted to bringing the news into your life 24 hours a day. There are hundreds of sites all over the internet dedicated to providing the very latest news. It can be a matter of seconds before a story becomes world news. Satellite technology means that correspondents can report direct from very remote locations live as events unfold. Not only that, but smartphones have become so sophisticated now that every user is a potential correspondent. Nowadays, we get breathtaking footage of disasters as they unfold – often in high-definition. Revolutions that might have once been quietly suppressed by brutal regimes are now headline news. There have been many high-profile cases where people have attempted to stand Canute-like against an unwelcome story by taking out injunctions. With Twitter, the news seems to sweep over them like an angry wave. If only more of the news was good news!